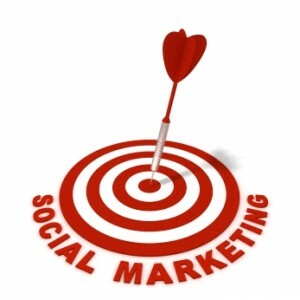 A successful marketing strategy is the key to a successful business. Companies put millions of pounds into their marketing budget and often bring in an external company to handle the marketing of their business. Smaller companies and firms rely on more cost effective methods. 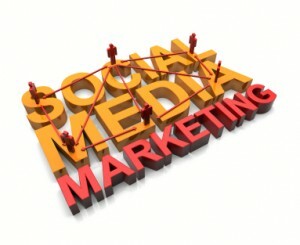 Social media marketing is the latest facility that businesses are adding to their marketing agenda. Posting and uploading content on blogs, community sites and video sharing sites allow businesses to market their products and services. The most popular social media sites are LinkedIn, Facebook, Twitter, Flickr and Youtube. These sites can have up to five million visitors everyday and are considered to be an important hub for marketing. Advertising space on these sites is expensive, so a most cost effective alternative is to create your own page. To get the same amount of visitors to your site through conventional methods would cost thousands of pounds. 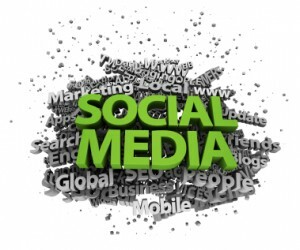 Links from your social media site can be directed back to your main website. When used correctly, a positive brand image can be portrayed to consumers as you are effectively giving your business a voice. MG have recently held a questions and answer session with consumers by using social media sites. For just under an hour petrol-heads were able to post questions to MG’s Motor’s sales and marketing director, Guy Jones. Word got round about the session, and Facebook was soon inundated with questions about the new MG6, ranging from details about the vehicle, to the definitive UK launch date. The session highlights perfect use of social media sites. Interest was generated in the car, purely by giving consumers the unique advantage of being able to talk back. Online tools allow you to target, track and report customers and the potential for personalized, relevant messages to potential customers are just the beginning. 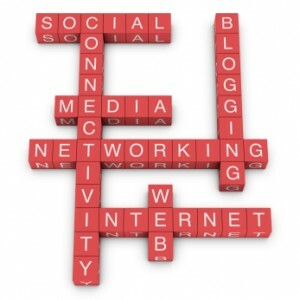 Links from social media sites will drive traffic back to your site. Posting copy on social media sites is a great opportunity for groundbreaking creative and innovating marketing techniques. With the increase in popularity of social media websites, it’s crucial for any business to have some regular form of social media as part of their marketing strategy. 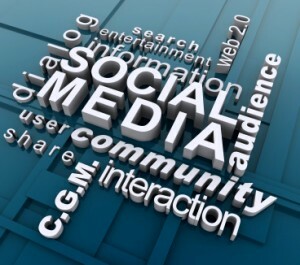 An effective and free way to raise a business’s profile is to use social media websites like Facebook. Companies which regularly update their Facebook page, are keeping their content fresh for their customers to enjoy. 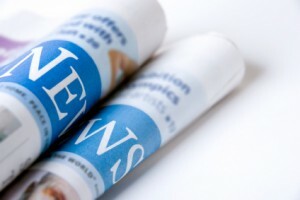 The topics usually covered in Facebook posts are business news and current events which influence your industry, product launches, personnel changes and question-and- answer exchanges. Be aware that if you decide to create a business Facebook page, you will need to update it regularly. In doing this you will be rewarded by appearing on the newsfeed of potential customers and fans, raising the profile of your business. If you decide to post interactive content such as question and answers, more time needs to be invested in the page as questions prompt replies. Within the medical profession, Facebook is an increasingly popular way for doctors to keep in touch with their patients, comment on any health related issues raised in the media, and generally build a strong, trustworthy relationship with patients. Blogging platform WordPress can be an effective tool for a copywriter in creating web copy, news feeds and distributing articles. Traffic to your blog can easily be monitored through WordPress, there is a diverse selection of pre-installed WordPress themes, and blog posts can be written quickly and easily, with the option to use photo uploader tools. WordPress also allows you to easily display and link to your business’ Twitter and Facebook site, and various other social networking platforms. If you hire a specialist marketing company to do the copywriting for you, blogs and blog design will be taken care of, and you can ensure that by hiring a professional company, both the copywriting and design will be professional. However, if you have no designer behind you, there are themes available on WordPress for you to choose from. The best thing about using WordPress is that it is extremely easily to write articles quickly and have them published onto your blog as soon as you have finished. It is also easy to track comments, block spam and reply to comments. This can all be done quickly and efficiently. All comments are left in your pending box until you have approved them to be published on your site, ensuring maximum control. The guide, which is likely to have been produced in collaboration with a specialist agency, also contains many shrewd insights into effective social media strategy for large organisations. One such tip is ‘Replace error with fact, not argument’. This reflects the widely held position among social media experts that misinformation and negative comment online should be dealt with honestly and courteously, and that getting drawn into heated debate in the online forum should be avoided at all costs. As might be expected from a defence organisation, the Navy’s Social Media Handbook emphasises the vital importance of protecting sensitive information, particularly in the post-WikiLeaks environment. Global IT giant Dell today unveiled a new centre expressly created to monitor, assess and respond to mentions and conversations about the company on social media sites. First announced in October by Dell’s Vice President Manish Mehta at the Rise of Social Commerce Conference, the new service will track and handle the company’s online profile. In other words, Dell will be attempting to make public relations inroads in the increasingly significant social media sphere, where constant feedback in the forms of consumer-to-consumer sharing, blogging, tweeting and commenting wield immense power to instantly influence a company’s reputation. 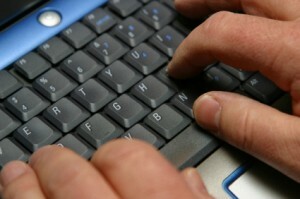 Dell is already ahead of many of its competitors in the field of social media marketing. Its Twitter-based @Dellcares service provides technical support and customer care, while its Facebook presence is followed by well over half a million users. Many attribute the company’s social media success story to a desire to engage at the online grassroots level with its users, not only talking to them, but also listening to what they have to say. Twitter marketing – what are trending topics? One aspect of Twitter marketing is the trending topics that can allow the discovery of various tweets around the same subject at that current time. Speaking from the official Twitter blog, trends have been available via Twitter since 2008 and are a method of identifying trending topics across Tweets right now. This form of Twitter marketing is developed through the frequency in which a topic is trended as well as the amount that it is being Tweeted on a particular topic at that current time. With Twitter reporting that there are around 95 million Tweets a day, the process of developing a trending topic will need nurturing. The trends that are currently hot topics are then shown in the trends list on users accounts so that people can view the most popular and breaking topics or news of the day. 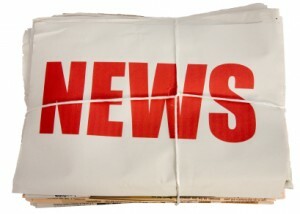 This allows news to spread quickly across Twitter, getting the message out to a potential worldwide audience. The hot topics can then be promoted to Twitter users and thus the trend can be continued by them. The trending topics can then be used to be linked back in order to develop Twitter marketing campaigns. If this consistency of conversation is not maintained, then the topic will not be a trending topic for the day, and thus the topic needs frequent attention and a full Twitter marketing strategy. Twitter marketing news brought to you directly from ContentVOX, specialists in online marketing, news writing and social media. 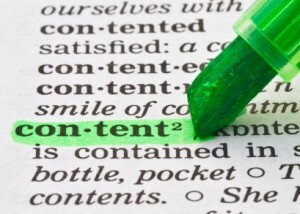 One of the most successful and important elements to online marketing is copywriting. A strategic web copywriter can promote a person, product, business or idea, and encourage the reader to take action after reading. Copywriting can be effective through news sites and news distribution and can convert the reader straight into your customer. Copywriting effectively means that your business is identified through key words and phrases, particularly on blogs, news feeds and news distribution sites. An expert copywriter can sell your product and use the most powerful keywords in order to direct the reader straight to your business. Employing an expert copywriting service for your business can mean that your product is promoted in the best and most effective way, traffic is diverted to your business and your sales increase. As well as encouraging the reader to click on keywords, SEO copywriting is also about persuading the reader to promote, link to, and share the article themselves. It is important that your copywriter understands your business and product. By creating articles bespoke to your target market and sector, it ensures that the correct audience is targeted and then directed to your business.